I’ve had tummy troubles since college. Nothing that needs to be discussed here – maybe if you’re lucky I’ll show some pictures of how pregnant I look (despite not being pregnant) when the battle in my tummy is waging on. Until then, just know it isn’t fun 😦 I occasionally try different diets hoping I find the solution to all of my tummy woes, but they always turn out the same – no improvement – just more time spent making special foods with ingredients that cost more and [usually] don’t taste as good. For the last 2-3 weeks I was doing gluten-free, with hopes of some improvement. Prior to starting I was only eating 1-2 servings of wheat each day, so it really wasn’t that much of a change. I did notice I was crazy hungry the first week. It was the oddest feeling – I was hungry but all of the veggies I was eating made me so full, so I was always dancing a fine line of hunger and pain. I decided I needed to make a bread substitute. I didn’t want to buy the $6/loaf brick loaf of gluten-free bread at the store, so I set out on a search for a homemade version. I made a loaf with my banana bar recipe that was actually really good. 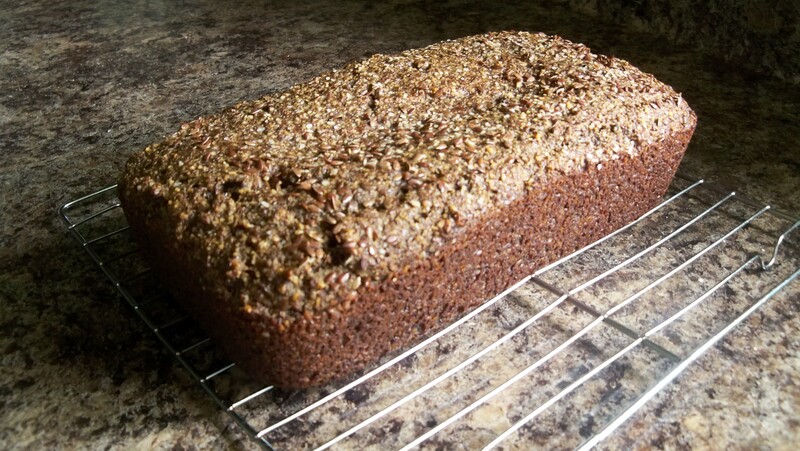 I wanted to try a 100% grain-free recipe and stumbled on this beauty – Dark “Rye” Bread. The recipe was simple enough and the ingredients were all things I had on-hand. The fresh product was delicious! The recipe she posted only fills the pan 1/2 way (note she used a mini pan that I don’t have), so I had to make a 2nd loaf and double the recipe. After it sat out for 3 days, I realized why she used a small loaf…this bread goes rancid quickly. It makes sense, the base is just fat (flax and almond meal). If you make this recipe, I have a few words of advice – don’t double the recipe. Make a single batch in a large pan and eat it as a snack OR invest in a mini loaf pan. A 3rd option I just thought of would be to make muffins with the dough. Whisk wet ingredients together in a small bowl. 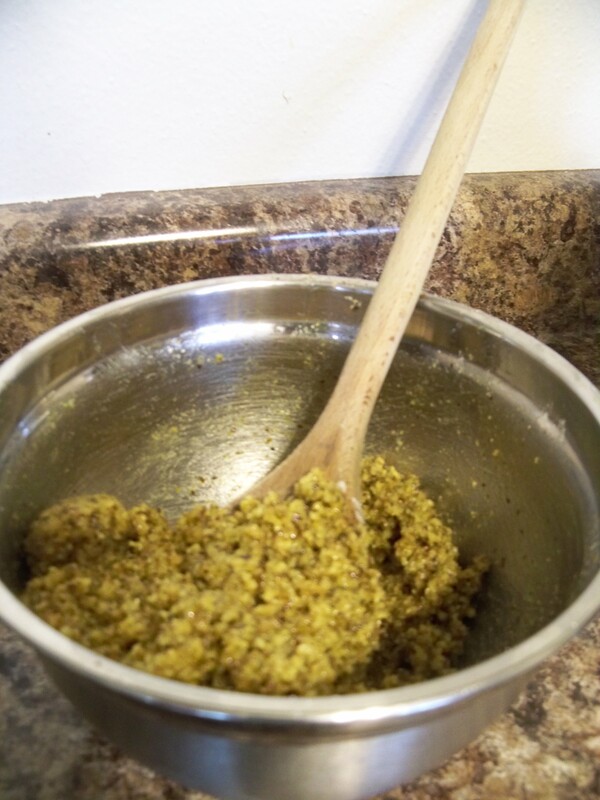 Stir wet ingredients into dry ingredients until combined. Let stand for 1-2 minutes. Pour ingredients into the prepared pan and bake for 30-35 minutes. Cool completely before removing. The loaf is very tender. Once cool, slice thinly and store in the refrigerator. Gluten Free Pantry List and Helpful Blog! Have you recently started eating gluten-free? Finding out you have celiac disease or gluten intolerance makes many people feel completely lost. All of the foods that are ingrained (no pun intended) in our culture seem to contain gluten, so many people following a traditional American diet feel like there is nothing they can eat. This couldn’t be further from the truth! While grains can be delicious, it usually isn’t the grains themselves that are delicious but the things we put in or on them. For instance, when was the last time you ate plain pasta? Probably never. If it is the stuff that we put on top that we like so much, this new diet becomes much easier and more manageable. I stumbled on Keep it Simple, Keep it Fresh, a gluten-free, a blog about cooking gluten-free for an entire family. 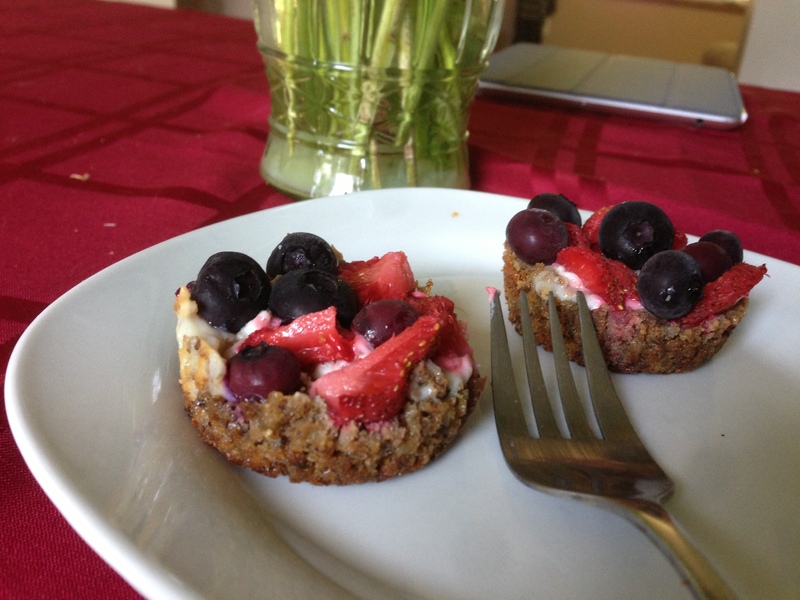 Check out this post on a gluten-free pantry to get you started!